I don’t know who God is exactly. and all afternoon I listened to the voices of the river talking. and the water itself, and even the mosses trailing under the water. And slowly, very slowly, it became clear to me what they were saying. Said the river I am part of holiness. And I too, said the stone. And I too, whispered the moss beneath the water. I’d been to the river before, a few times. Don’t blame the river that nothing happened quickly. You don’t hear such voices in an hour or a day. You don’t hear them at all if selfhood has stuffed your ears. And it’s difficult to hear anything anyway, through all the traffic, the ambition. He’s also the tick that killed my wonderful dog Luke. if you would pause to hear it. And how are you so certain anyway that it doesn’t sing? If God exists he isn’t just churches and mathematics. He’s the forest, He’s the desert. He’s the ice caps, that are dying. He’s the ghetto and the Museum of Fine Arts. He’s van Gogh and Allen Ginsberg and Robert Motherwell. He’s the many desperate hands, cleaning and preparing their weapons. He’s every one of us, potentially. The leaf of grass, the genius, the politician, the poet. And if this is true, isn’t it something very important? I don’t know how you get to suspect such an idea. I only know that the river kept singing. which was better by far than a lecture, which was comfortable, exciting, unforgettable. Of course for each of us, there is the daily life. Let us live it, gesture by gesture. When we cut the ripe melon, should we not give it thanks? And should we not thank the knife also? We do not live in a simple world. One by one I watched the fires go out. My dog Luke lies in a grave in the forest, she is given back. to where it has been told to go. I pray for the desperate earth. I pray for the desperate world. I do the little each person can do, it isn’t much. Sometimes the river murmurs, sometimes it raves. Along its shores were, may I say, very intense cardinal flowers. they are so happily obedient. We can not stress enough the importance and value of choosing to buy seed from companies that have taken the Safe Seed Pledge. By doing so, you are supporting a company that cares about the integrity of seed diversity. You are also supporting the health and well being of the world’s food, its people, and its communities. There is an ample amount of information regarding the pitfalls of GMO seed and food made from GMO crops. Inform yourself, take a stand, and consider supporting those noble seed companies who are making the Safe Seed Pledge. Have fun scrolling down the list of seed companies who have taken this pledge. Check out what they have to offer, you may find just the variety of heirloom tomatoes you’ve been looking for or a new dry bean that you’ve never grown. And, if you read through the list and don’t see a seed company who you know has taken the Safe Seed Pledge, let us know…we’ll add them to the list! 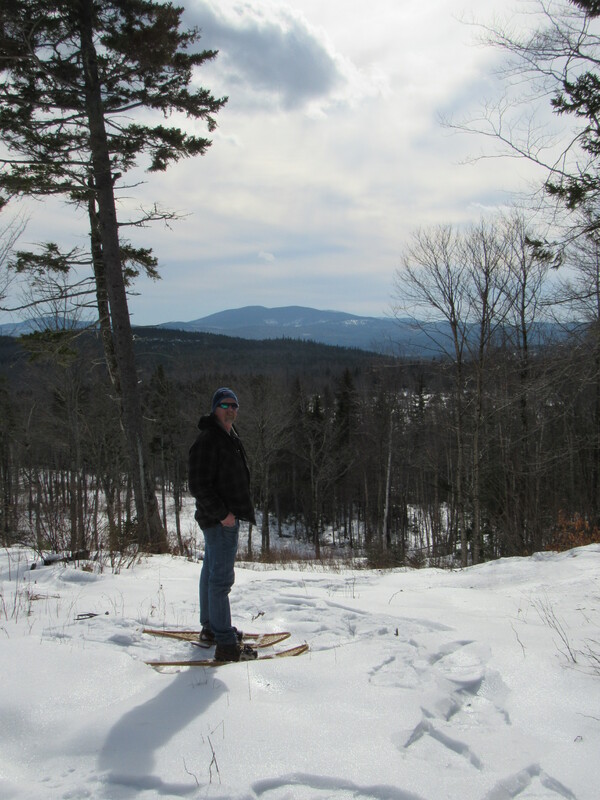 Trying to experience and enjoy as much winter as possible here in Maine. My brother and I made a trip over to his land in Rangley (the western part of the state) to do some hiking. It was a beautiful day, fairly warm and the sun was out. My brother, Dan, has always been an outdoor enthusiast. He puts great effort into hitting the trails here in the northeast. I’m always amazed at how much ground he covers. We don’t get enough time together, so it was lovely to spend a day catching up on the ride over and then doing something together that we both love…being in the woods! Plus, he bought me lunch! Since then we’ve had another snow storm, about 1ft here in our area of Waldo County. 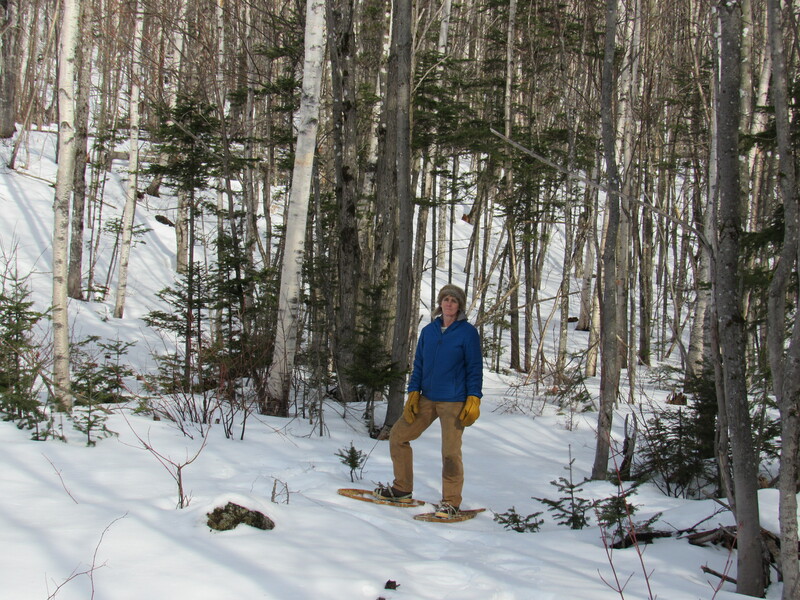 A little more time for snowshoeing or strapping on the x-country skis before spring develops. We are working on a number of classes for this season. Some are posted already, others are in the making. Are there any classes you’d like to see us offer here at Fernwood? Certain topics? We’re glad to hear suggestions. Offering classes at the nursery has been a really fun and rewarding addition for both Rick and I. Not only can we share some insight into our gardening or lifestyle choices here at the nursery, but it also gives us an opportunity to get to know our visitors. Consider taking a class here at Fernwood, come enjoy a selection of homemade scones and tea, and mingle with some fellow gardeners! Words of truth, I’d say! We begin winter here thinking about the long, silent months ahead. The deep snow and the frigid temperatures which will turn us indoors for more reading and knitting and fire-warmth. We drop our shoulders, breath deep, and feel thankful for the slow pace of winter. We’re some of the few who are not in a hurry to move these cold months along…the sun and the warmth will come back to us, all in good time. 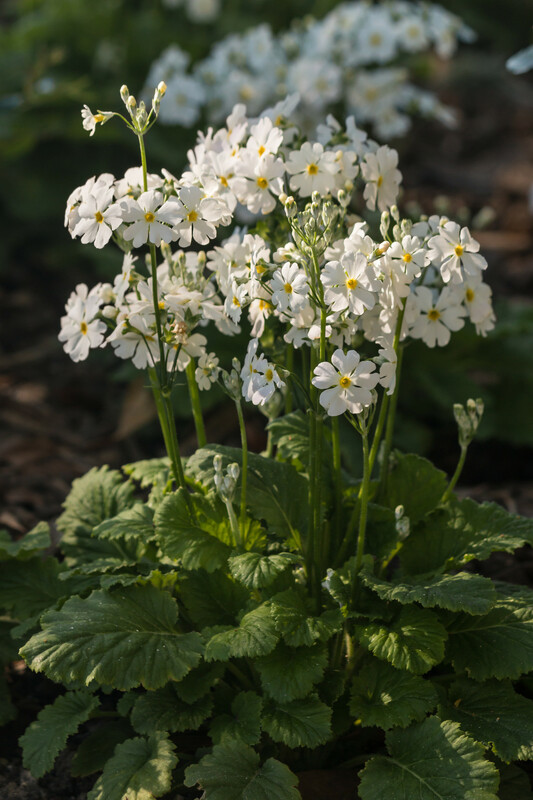 But we can feel the stirrings now, the seed catalogs spread across the table, the lists of new plants for the nursery ( some dandy primula! ), the urge to ‘hoe’ out the greenhouse and fire up the stove that heats it. Oh, truth be told, our minds are never completely void of gardening and plants and soil. Notebooks are filled with lists and ideas for a new season of promise. Are you thinking about spring? Does a bit more winter trouble you? 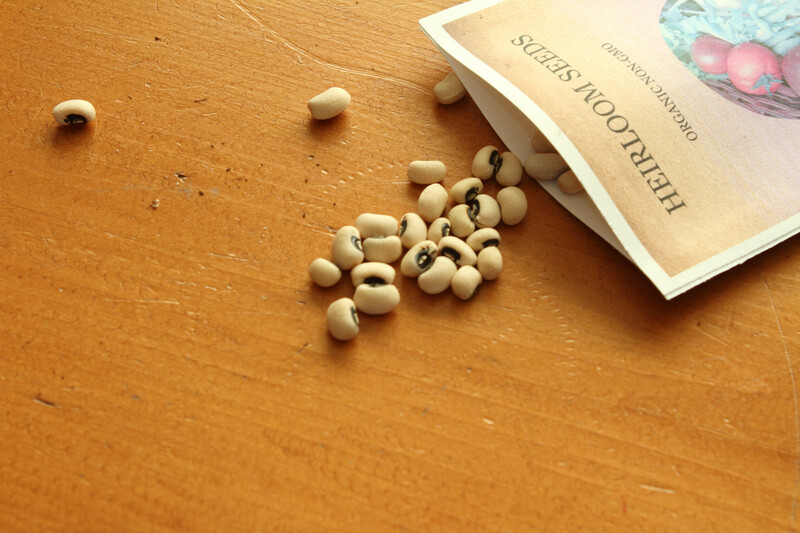 Are your veggie seeds ordered? Any new garden plans? Let’s hear!